I received an email recently that I discovered is a scam, and I wanted to share this so you wouldn't fall for it -- or have to take the time to research it to find out it is a scam! We are a service agency for registering domain names. Our center received an application from Sean Lim International Ltd. today. They applied for the registration of rwdigest as their Brand Name and some top-level domain names. But we found the main body of domain names is same as yours. We are not sure about the relationship between you and them. As the registrar, we have the duty to inform you the case. Now, we are processing this application. Our center needs to confirm whether this company is authorized by your company. If so, we will continue the next step of registration. If not, please let me know as soon as possible in order that our center can deal with this problem timely. We await your prompt reply. I did a Google search for "received email from domain registrar saying someone has applied for domain similar to mine" and came across this Stackexchange thread that confirmed it was a scam. There were several examples of similar emails -- but more important, it gives the "how" of this scam. How do the scammers monetize their emails? The answer: Domain registration fees. If you respond back to the email saying that you own the domain, you will receive one of two responses -- one from the company that purportedly wants to register the domains, indicating they intend to go ahead and register the domains ... and/or a response from the initial contact, saying you have "priority in the registration" of the domains during the "audit period." The company will offer to register the domains for you (rwdigest.cn, rwdigest.com.cn, rwdigest.net.cn, rwdigest.org.cn). Of course, no one is really interested in registering your domain names. It's a scam to either get you to pay to register these additional domains (AND possibly to steal your payment information once you provide it). So just IGNORE this email if you get it. 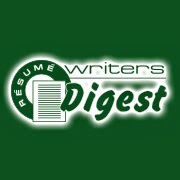 Clients are the lifeblood of a successful resume writing business. Without clients, there is no business! Here are seven tips for attracting clients. You probably know most of them, but it's a good reminder that if your appointment book isn't full, you can change that! This may seem obvious, but you would be shocked to learn that some people you know probably don't know what you do. You want to get the word out to everyone you know, because they may know someone that needs you and tell them about you. Hand out business cards, share resources with them (the BeAResumeWriter.com Pass-Along Materials make excellent special reports that you can use as lead generation magnets), and post updates on your social media platforms about the work you're doing (and the people you've helped -- without identifying your clients directly). Being involved in your local community and online communities, both business and personal, will help you become a known entity. Use the strategy of "Give To Get" -- be helpful to others. Remember, jobseekers are hungry for information that will help them in their job search -- FEED THEM! Remember the Zig Ziglar quote: "You can have everything in life you want, if you will just help enough other people get what they want." A joint venture is a temporary partnership in which you join forces with someone who markets to your audience but who is not direct competition -- for example, a career coach. Partner up to host a free webinar teaching their clients something to solve one of their most burning problems (anything related to the job search is fair game -- LinkedIn is almost always an in-demand topic). They will promote the webinar to their clients and you'll teach it. You can give them a referral fee on any projects that result -- and, you can solidify a stronger referral relationship! Make all your profiles on social media compelling and informative. Post a good profile image that shows your face and eyes. 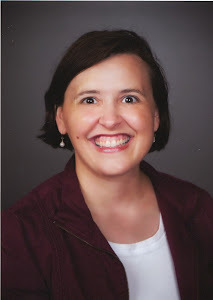 It doesn't have to be a professional headshot, but it should be clear and show a good depiction of your personality. Join various groups online, consisting of both your audience and other resume writers (if you focus on a specific niche, colleagues can be a great source of new clients). Get to know people, help people, and let your profile speak for itself. Share information regularly -- become a resource people will depend on for careers content! If your current client flow is slow, take time now to work on reputation building. The way you do this is participate in webinars, discussions, and even livestreams (Blab.im or Facebook Live), showing your professional knowledge about your careers industry niche and how you can help jobseekers. Write a book, blog, or guest blog and/or develop a freebie (lead magnet) to give away so you can build an email list. Content can help you capture new clients! I talk a lot about resume writers and the shoemaker's kids. (Referring to the old story about the shoemaker's kids being barefoot.) One of the best demonstrations of what you can do involves being a bright, shining light that shows the world what it is that you do. Your LinkedIn profile should be top-notch. Your "About Us" page on your website should tell a compelling story of you. If your personal communications are outstanding, prospective clients will see exactly how you can do the same for them. Details here: Get Clients Now.